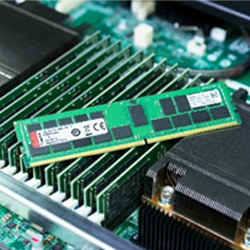 Fountain Valley, CA – April 2, 2019 – Kingston Technology Company, Inc., a world leader in memory products and technology solutions, today announced its 32GB, 16GB and 8GB Server Premier DDR4-2933 Registered DIMMs have received validation on the Intel Purley Platform, featuring the Intel® Xeon® Scalable processor family (formerly known as "Cascade Lake-SP"). A link to the validation page can be found here. "Our latest 2933MT/s memory modules have been thoroughly tested, validated and are ready to be deployed in servers using Intel’s latest Xeon Scalable Platform," said Mike Mohney, server memory business manager, Kingston. "Our service, quality and longevity in this industry make Server Premier the brand of choice among OEMs and the world’s leading data centers. We also give unprecedented technical access to our team of experts, who advise customers on how to maximize their data center’s memory performance."